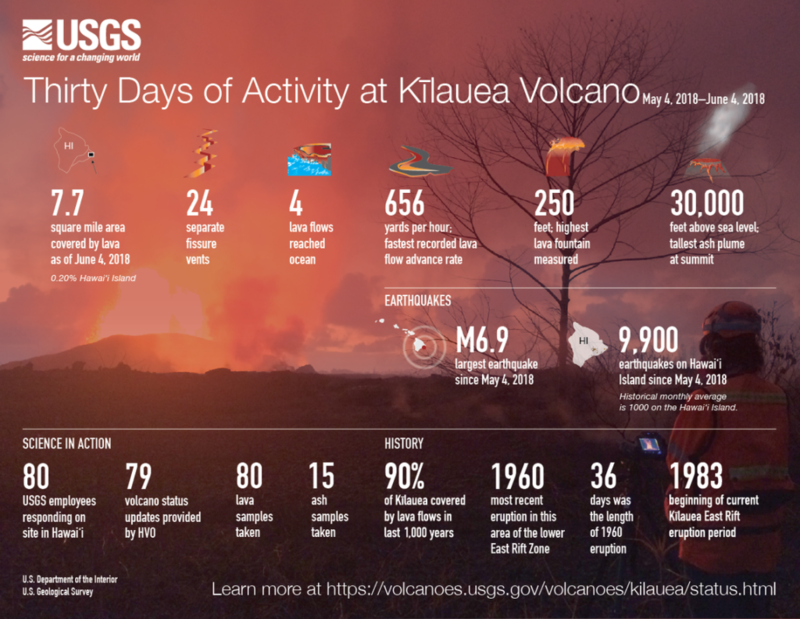 Have you ever wondered why Kīlauea Volcano’s current lava flow is called the “61g” flow? To explain, we must go back to the beginning of the ongoing eruption. 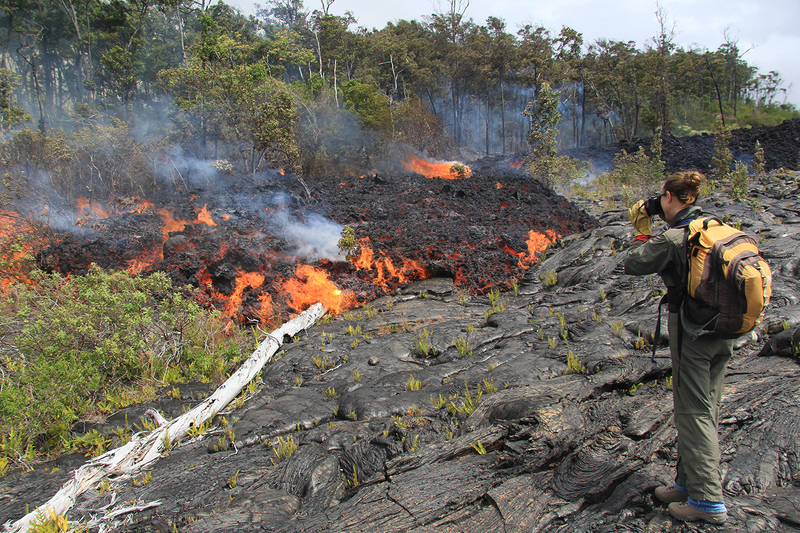 A USGS Hawaiian Volcano Observatory geologist tracks the progress of Kīlauea’s “61g” flow on June 28, 2016, as the ‘a‘ā lava advanced down the flank of the volcano. The 61g flow remains active today, with lava streaming into the sea at the Kamokuna ocean entry and small lava breakouts near Pu‘u ‘Ō‘ō. USGS photo. It all started on Jan. 3, 1983, with fissures erupting intermittently along the middle part of Kīlauea’s East Rift Zone. In June 1983, the eruption became localized at a single vent that was later named Puʻu ʻŌʻō. For the next three years, Puʻu ʻŌʻō erupted approximately once a month, usually for less than 24 hours at a time. These eruptive episodes were characterized by spectacular lava fountains up to 1,540 ft. high, followed by periods of inactivity. HVO scientists kept track of these early intermittent and episodic events by assigning numbers to them (1–47). It’s important to note that when this eruption began, no one had a clue it would still be going 33-plus years later. It’s difficult to label a series of events if, at the start, the number of events and the duration and style of activity are unknown. In July 1986, episode 48 began with fissures opening uprift and downrift of Pu‘u ‘Ō‘ō, but no episodic lava fountains. Each fissure was given a letter to identify it—48a, 48b, and 48c. 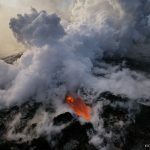 Episode 48c eruptive activity persisted, becoming the Kupaianaha vent, which was active for six years and eventually sent lava flows through Kalapana. This change in eruptive style to nearly continuous effusion complicated the “episode” numbering scheme. Nevertheless, since 1992, as the location of Kīlauea’s active vent has shifted up and down the East Rift Zone near Puʻu ʻŌʻō, episode numbers have been used to track the activity. But, new lava flows from different vents have not always resulted in a new episode number. flow and the “MLK” flow (Martin Luther King’s birthday). These informal names enabled USGS Hawaiian Volcano Observatory (HVO) scientists to differentiate multiple flows within the same episode. The Mother’s Day, MLK, and other flows were all grouped as episode 55 flows because they were all fed from vents on Puʻu ʻŌʻō’s south and west flanks. There was also no significant break between the flows, and many were simultaneously active. Kīlauea’s current episode—number 61—began in August 2011 with the refilling of Pu‘u ‘Ō‘ō (61a). That event was followed by the “Peace Day” flow (61b) that began on Sept. 21 (International Day of Peace). Other episode 61 flows from related vents on Pu‘u ‘Ō‘ō include flows named for land divisions or start dates—the “Kahaualeʻa” flows (61c and 61d) and the “June 27th” flow (61e), which threatened Pāhoa and other Puna communities in 2014-2015. Naming lava flows can be tricky given the challenge of determining when one episode ends and another begins. Also, it has become increasingly difficult to settle on an appropriate informal name for each new flow. So, in late May 2016, when related flows broke out yet again on the north and east flanks of Pu‘u ‘Ō‘ō, HVO simply called the flows “61f,” which was short-lived, and “61g,” which persists today. This decision was due mainly to the lack of an obvious feature, land division, or noteworthy calendar event for which the flows could be informally named. To answer our opening question, Kīlauea’s current flow is called “61g” because it is the 7th flow (g) in the sequence of events that compose the 61st episode of the ongoing East Rift Zone eruption. Recent breakouts on Pu‘u ‘Ō‘ō are from the 61g vent, so they are still known as 61g flows. A key point to remember is that none of the lava flow “names”—whether they are episode numbers/letters or based on calendar dates or land divisions—are official, or formal, names. They are just a way for HVO scientists to distinguish the flows they’ve monitored since 1983. While HVO’s informal naming system is not perfect, it has served its purpose over the years—helping us track the many vents and lava flows of Kīlauea Volcano’s ongoing East Rift Zone eruption. Kīlauea continues to erupt at its summit and East Rift Zone. 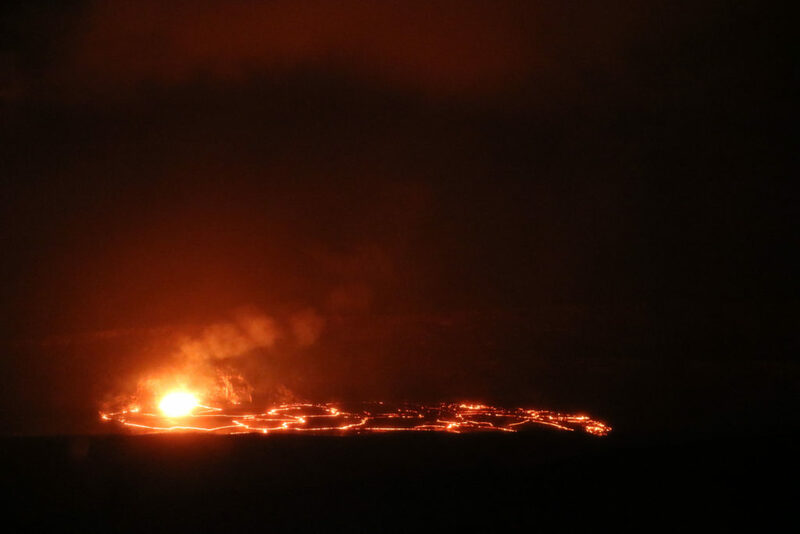 This past week, the summit lava lake level varied between about 30–103 ft. below the vent rim. The 61g lava flow continued to enter the ocean near Kamokuna. Recent breakouts from the 61g vent area on the flank of Pu‘u ‘Ō‘ō remained active, with a small surface flow slowly advancing to the east. 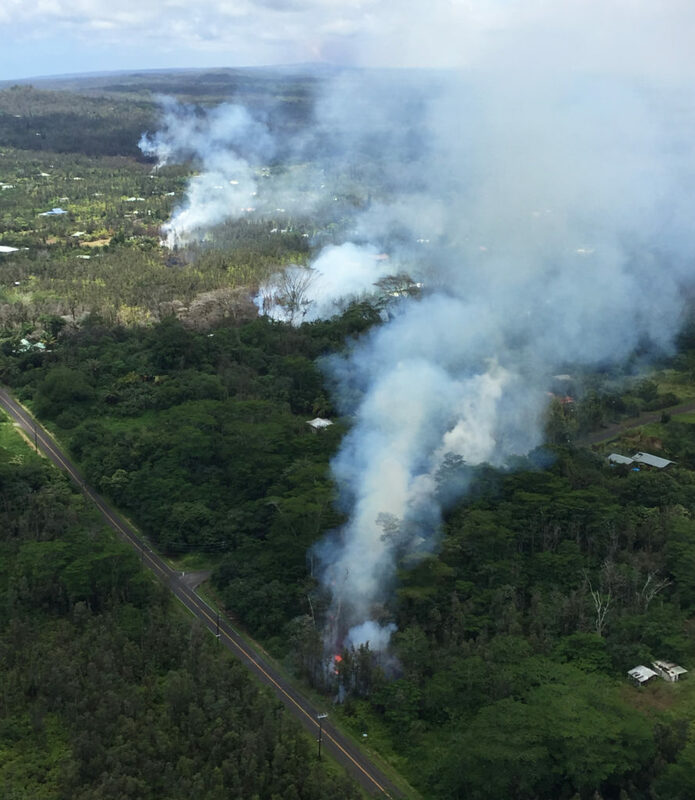 The 61g lava flows do not pose an immediate threat to nearby communities. Mauna Loa is not erupting. During the past week, earthquakes occurred primarily at the upper Southwest Rift Zone at depths less than 3 miles. A magnitude-3.3 earthquake occurred in the upper Southwest Rift Zone at a depth of 1.5 miles on Dec. 12. Deformation related to inflation of a magma reservoir beneath the summit and upper Southwest Rift Zone continued. of 6.2 miles at 11:01 a.m. Call for summary updates at (808) 967-8862 (Kīlauea) or (808) 967-8866 (Mauna Loa); email questions to askHVO@usgs.gov. 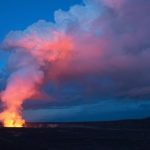 HVO: What’s Next for Kīlauea?